59 people have already read this article, which will unlock for non-subscribers like you in . So what are you waiting for? Subscribe now! 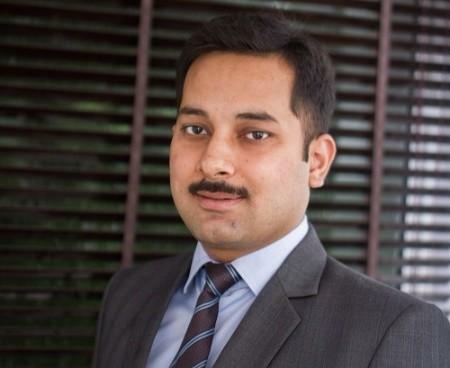 Link Legal India Law Services banking and finance partner Anurag Dwivedi has joined Shardul Amarchand Mangaldas as a partner in Delhi. The 2005 NLIU Bhopal alum had been promoted to Link Legal’s partnership in 2016, after having made associate partner there in 2015. He had started his career at Hindustan Unilever, then joined IL&S Infrastructure as regional legal head before moving to Link Legal in 2010 as a senior associate. We have reached out to Shardul Amarchand Mangaldas for comment. A comment posted 3 months ago was not published. Funny shardul doesnt comment on new partner recruit. I thought that honour was reserved only for exitting partners. At some point, we must ask ourselves are professional moves really newsworthy? Someone changed jobs - BFD. Child, you have never worked out of LLILS (rather, never worked in Amarchands and Luthras) and therefore have no idea whatsoever what firm politics is or can be. Take a chill pill and relax. Yes, it is not and therefore the conclusion drawn by Karma (identifying the reason for this exit) is flawed. I would rather side with Ricky on this exit (see comment below). I think it might also be that Dwivedi had always been with LL and KLAW, so its fair to have a bit of fascination about big brands, which coupled with small firm issues could have triggered the exit. Someone is turning green. Jealous much bro? Well firms and their priorities. LL was focussing on Siddharth as their insolvency spearhead, so Anurag may have felt left out. This is not unusual in firms. But this should be done in a more open, planned and transparent manner with partner feedback from managing committees. This has happened at other firms and other partners at LL too. LL will need to assess whether it needs its 4+0.5 Delhi top equity partners team to dominate everything in the firm or wants other partners to grow or not. Good thing is that LL top guys Sharma & Srivastava are very sharp, am sure they will fix things in near future. All the best too Anurag. He is a fine lawyer. So basically back to back exits. Durgesh, Darshika and Anurag. Not to mention others who have left link legal in recent past. Others may be on the way out soon. One who moved from SAM. Left within weeks. Hats off to people who stayed longer. “Protect the (g)old and kill the stars” is the motto of link legal..!!! They’ll handout pensions soon instead of bonuses (which is as it is a joke there). So the exit is not surprising. hahaha!! been there seen that !!! If you don't listen to others, you are left only with Yes-men. Well if the C Suite guy takes the credit for growth in numbers and billing (It was all Anand's hard work and initiative in getting the work horses in 2015) then he must take the blame for all exits. [...] amazing how sharmaji's stated objective of making the firm a great place to work and [...] is pulling the firm in opposite direction. They still have some good people. Hope they see the light. One of the sharpest project finance lawyers who actually knows his document and doesn't enter negotiations riding on the back of associates. Congrats Anurag.